Tackle your work tasks with the performance-driven M-Class custom workstation from ORIGIN PC. A compact custom desktop designed with professionals in mind, the M-Class workstation desktop offers a powerful and reliable PC experience. ORIGIN PC offers multiple configurations and chassis options designed to fit your specific needs and budget. 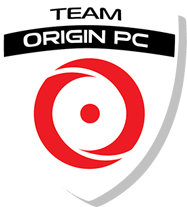 We offer the best internal components engineered to provide maximum performance on today’s productivity software, all backed by ORIGIN PC’s award-winning support. The M-Class workstation desktops feature specially designed cases made to protect your components while maintaining form and function. 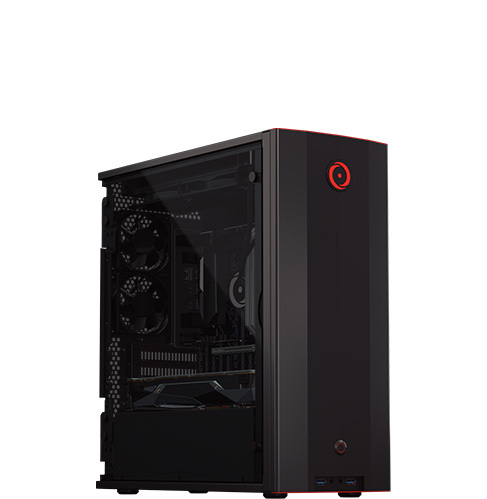 Choose from different microATX form factor cases with different styles and designs, including the exclusive ORIGIN PC NEURON case featuring a tempered glass side panel and capable of 3 different orientations including 2 vertical orientations and 1 horizontal orientation. 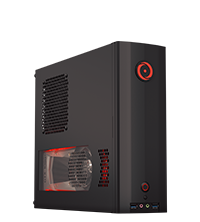 Other microATX cases are available, including the Meshify C Mini chassis for improved airflow and cooling. For tasks ranging from updating documents on the internet to advanced projects using 3D rendering software and graphic design, the M-Class custom workstation is built to get the job done. 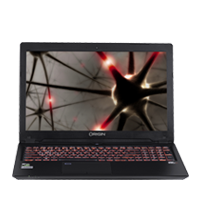 (W) 8.3" x (H) 15.7" x (D) 15.5"
(W) 6.75" x (H) 16.5" x (D) 15.25"
Customize your M-Class with next-generation NVIDIA® GeForce® RTX graphics cards for photorealistic graphics and renders. Powered by the new NVIDIA Turing™ GPU architecture, new RT cores for real-time ray tracing, and GDDR6 memory, the revolutionary RTX graphics cards bring together real-time ray tracing, artificial intelligence, and programmable shading to help you save time and create more. The new NVIDIA GeForce RTX GPUs are now available and offer you a whole new way to create media, visual effects, 3D models, and more. 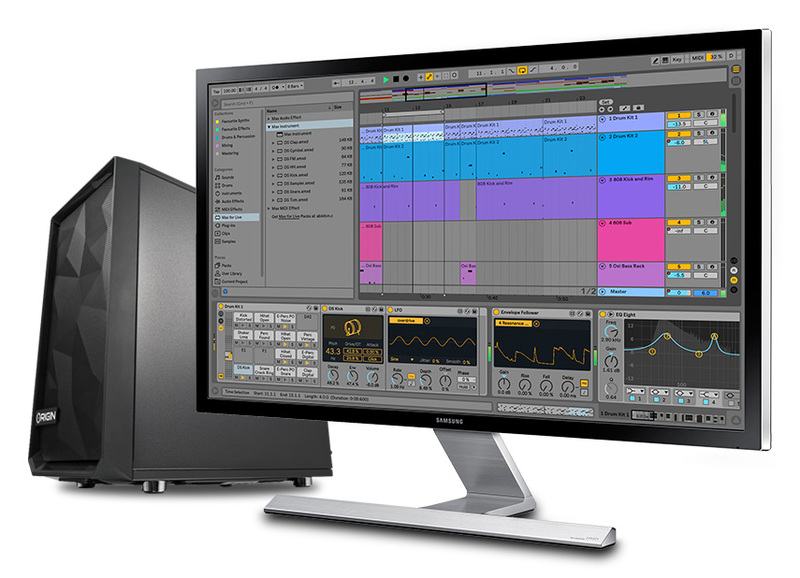 Everything that goes into your M-Class workstation desktop is designed to help you complete your tasks. With several workstation quality components to choose from, every M-Class desktop can be configured to make your professional life easier. Connect multiple computer monitors for increased productivity and enjoy high definition internet video. All our video card options utilize the DirectX 12 platform for the best graphical performance with all your applications, from video editing to GPU-based applications. The M-Class workstation desktop features powerful desktop solutions for any task in the home or office. Our systems are backed by our award-winning US-based support team that will keep you up and running. 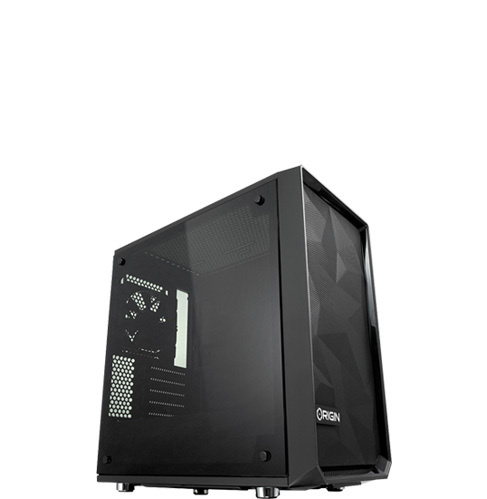 ORIGIN PC offers a wide array of configuration options that will fit into any budget. If you need a custom part or special configuration, contact us, we will be happy to help. Experience what next-generation workstation graphics have to offer in your M-Class workstation desktop. 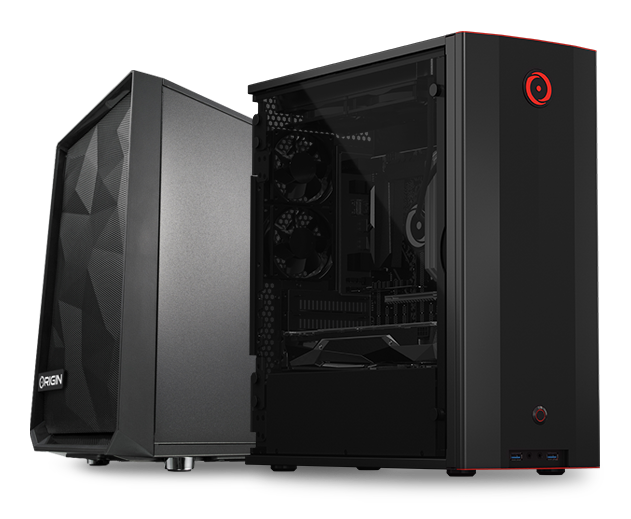 ORIGIN PC offers NVIDIA GeForce RTX graphics cards and NVIDIA Quadro workstation graphics cards that take advantage of the latest in graphics technology to deliver photorealistic 3D renders and more. Our video card options not only offer stunning visuals and breathtaking images but can increase your productivity and screen space with support for multiple monitors and 4K displays. Connect multiple monitors to one graphics card to better manage your workflow or display visuals across several screens for a panoramic experience. 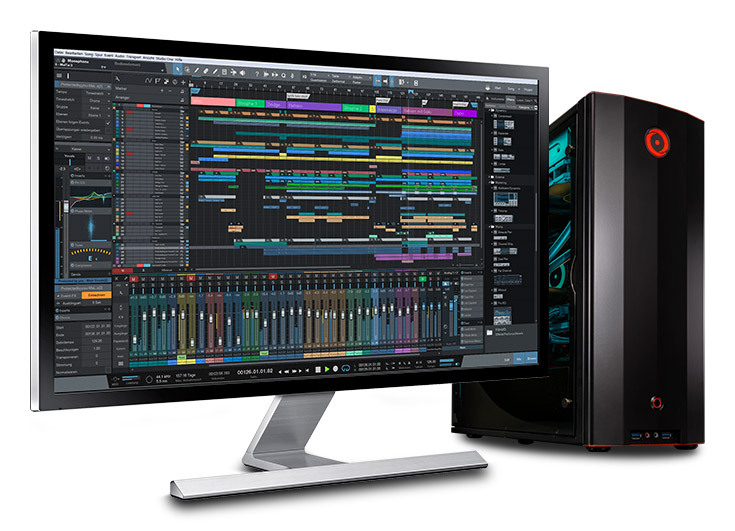 The M-Class custom workstation features support for Intel Core 9th generation processors, Intel Xeon processors, and 32 core AMD Ryzen Threadripper processors designed for everyday tasks and professional software applications. With these powerful processors, you’ll have the ability to run demanding applications simultaneously, perfect for content design professionals, editors, and programmers. Run multi-threaded applications with ease thanks to your workstation processor in your M-Class desktop. The M-Class custom workstation supports ECC DDR4 memory to prevent data corruption, load programs faster, and run more applications at once. 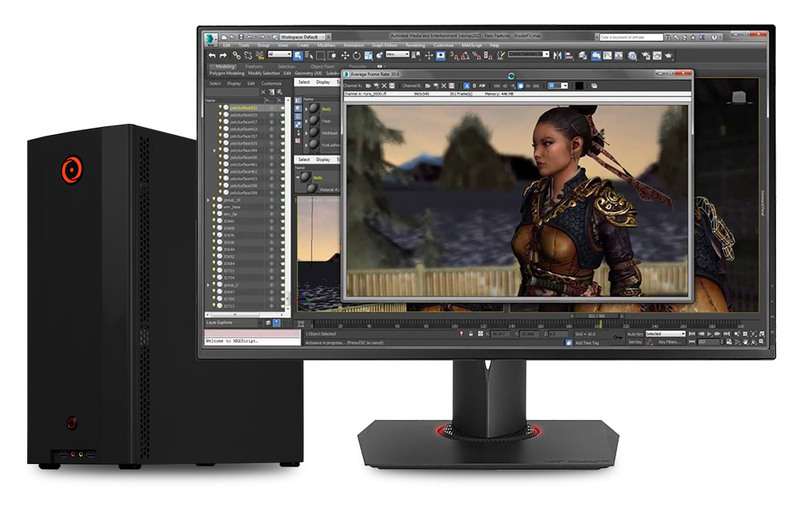 For creative content professionals, configure your ORIGIN PC with 64GB of RAM for lightning-fast 3D rendering and video editing. M-Class systems can be customized with several storage drives giving you the option to store massive amounts of data in your desktop. ORIGIN PC offers several high-speed solid-state drives and M.2 PCIe drives guaranteed to give you quicker access to all your programs, files, and multimedia. Designed for maximum durability and thermal management, the M-Class custom workstation offers customizable case options. The sturdy M-Class cases protect your workstation inside and out and utilize advanced thermal dissipation techniques, guaranteed to keep the internal compartment of your custom workstation cool during a demanding work day. Internally, our cable management system safely hides away your workstation’s wires for better airflow and accessibility. The M-Class custom workstation offers premium air cooling options that maximize airflow inside your desktop, keeping it cool and running stable during intense use. Our whisper-quiet fans direct cool air to your internal components while removing hot air. In addition, our internal filtration system in select chassis can reduce dust and particle buildup that can harm your workstation. ORIGIN PC offers the FROSTBYTE sealed liquid cooling system that provides additional protection and thermal management. 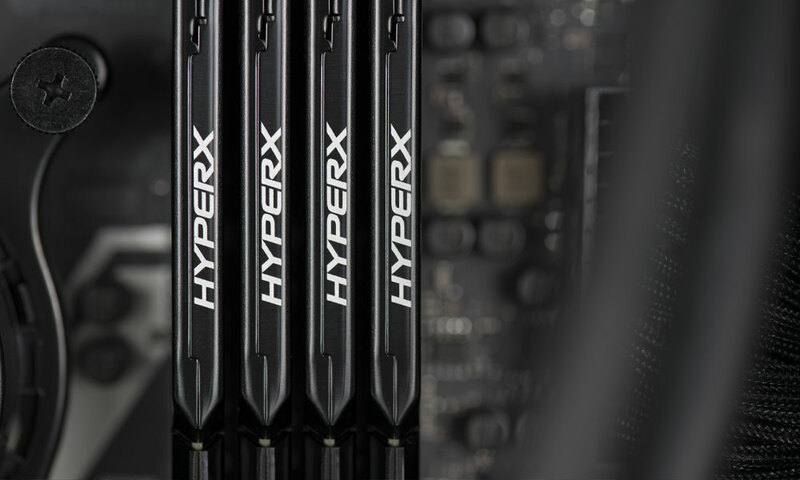 Combined with our CPU overclocking, you will have the ability to push your workstation beyond its limits. 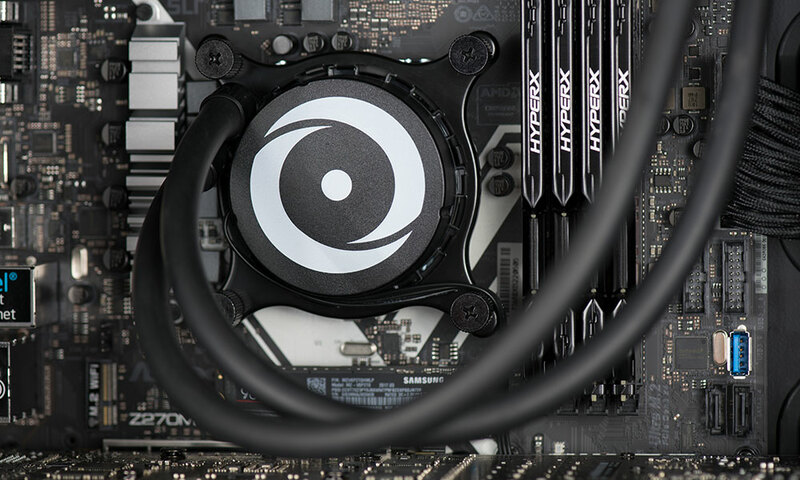 This maintenance-free liquid cooling system uses the latest technology that provides exceptional cooling. Our job does not end when your M-Class custom workstation arrives. Every ORIGIN PC system is backed by a lifetime service agreement. When you purchase your M-Class workstation, you will receive dedicated service, including labor, from our trained and experienced staff whenever you need it. We offer optional premier on-site support or repair services and can accommodate specific support services at your request. We offer support via email, online chat, 24/7 US based lifetime phone support, and more. *Disclaimer: If shipping back to ORIGIN PC, the system should be shipped in wooden crate armor if the system was initially received in wooden crate armor. We offer a 1 Year Part Replacement and 45 day shipping warranty plan with all ORIGIN PCs. Optional extended part replacement and free shipping warranty plans are also available. With these special plans you won’t have to pay for parts or shipping costs if you need to send your system back to our warehouse. ORIGIN PC M-CLASS - The Best Gaming Experience Guaranteed.